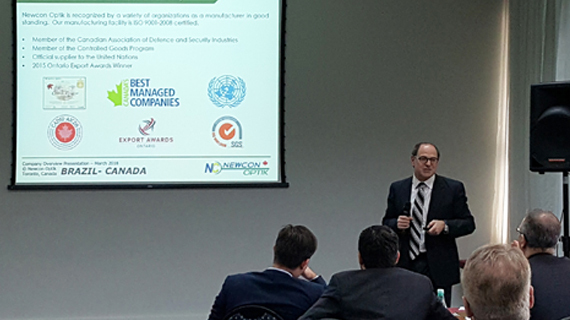 March 5-8 of this year, our CEO Peter Biro joined the Canadian Defence Technology Road Show as a delegate on this four-day showcase tour developed to encourage business relations between the Canadian defence and security industry and our counterparts in Brazil. 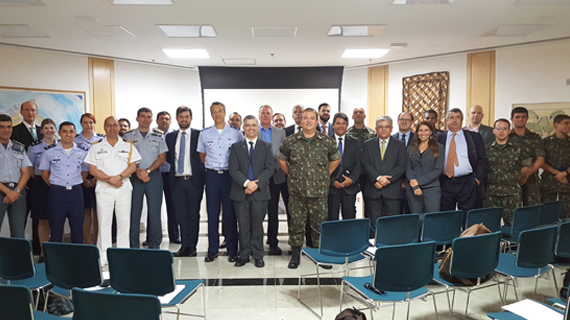 Visiting three cities (São Paulo, Rio de Janeiro and Brasília), Peter and the other delegates met with Brazilian officials and representatives of the country’s Air Force, Navy, Army and industry representatives for briefings, discussion panels, and networking events. Brazil, currently in an election year, is a nation of over 210,000,000 people; the country’s gross domestic product is expected to grow by well over 2% in 2018.